Our 14th Annual Young at Heart Ride will take place on September 21st, 2019! Click here for more information. 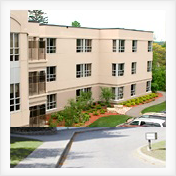 IOOF Seniors Homes Inc. has been serving the needs of seniors in Ontario for over 100 years. It is committed to serving seniors through the development of new and innovative concepts in support programs, health care services and housing initiatives. The IOOF Seniors Home Inc. is a non-profit charitable organization currently operating several facilities located in Barrie, Ontario. The Organization provides a continuum of care for seniors aged 60 years and over from totally independent living to supportive housing, rent-geared-to-income housing and long-term care. Bi-Weekly Bingo Games at the Delta Bingo & Gaming Centre raise funds for the IOOF Seniors Homes Best Care for Seniors Campaign. Support us by visiting the Delta Bingo & Gaming Centre today!